Life coach, speaker, and worthiness mentor trained through Beautiful You Coaching Academy gives full review of BYCA. Madison is a 3x International award winner from BYCA, winning International Coach of the Year and was featured on Inspired Coach Magazine. Enroll in Beautiful You Coaching Academy and get Madison's coaching perks. Change the world. Start with the heart. Becoming a Certified Beautiful You Life Coach is by far the best choice I've made in my career. WHY DID I CHOOSE THE BEAUTIFUL YOU LIFE COACHING ACADEMY? Let's just say it wasn't an accident I stumbled upon BYCA and I knew it. From the success of those who had taken the course, to the warm and inviting sisterhood, the reputation of integrity, inclusiveness, and heart-centeredness, to the down right excitement I felt every time I thought about enrolling, I knew it was my path. WHAT IMPRESSED ME THE MOST ABOUT THE PROGRAM? The community support and sisterhood is real, deep, beyond inspiring. (I talk to my BYCA sisters almost daily, and have made lifelong friends with my fellow trainees). The education is of the highest standards and integrity in the industry. Free live events all across the globe with the ability to meet my trainers, fellow coaches, and top leaders in the industry. An abundance of resources: a physical textbook, workbook, online modules, online forums, group calls with trainers and CEO Julie Parker herself, live coaching, expert interviews, and downloads to use with your first clients. The ongoing abundance of resources since completing the program. A fast-responding customer support; my (many) questions were always answered quickly and with clarity. A wealth of knowledge about how to grow your brand and a build a successful, heart-centered business. The ability to apply for and become a Certified Beautiful You Life Coach. The founder and CEO, Julie Parker, cares about advocacy, human rights, and making success as a coach accessible to people of all backgrounds, colors, shapes, and sizes. That was really important to me! How long did it take me to grow my business to full-time? I stepped away from my full-time position after 9 months as a coach. I went "all in" and quit my part time job after 13 months. How many clients do you see in a typical month? I have anywhere between 15-25 clients at a time. I meet with each of them bi-weekly. What if I'm young? I was a ripe age of 23 when I enrolled in the program. I do not believe age should ever be a limitation to our dreams, and is definitely not a qualifier in your ability to coach. In fact, I found my young, teachable spirit served me greatly through the program. No matter what your age, a hunger for knowledge, an open heart, and being real means more to your clients than your age. What if I don't have my own stuff together? (AKA: Do I need to be perfect?) No one has it all together, and you definitely do not need to be perfect to be an amazing coach. However, I do believe investing in your own growth and mental health are essential. If you want to be a great coach, worry less about being perfect and give your energy to living the message you want to spread to others. Julie Parker, Founder and CEO of BYCA, says it best: "The best coaches are those who embrace their flaws and the messiness of life." Do the courses really sell out that far in advance? 100% yes. BYCA is an in-demand coaching academy and to stay in integrity with their ability to serve, the courses fill up and close months before the class begins. Have I taken any other life-coaching programs? 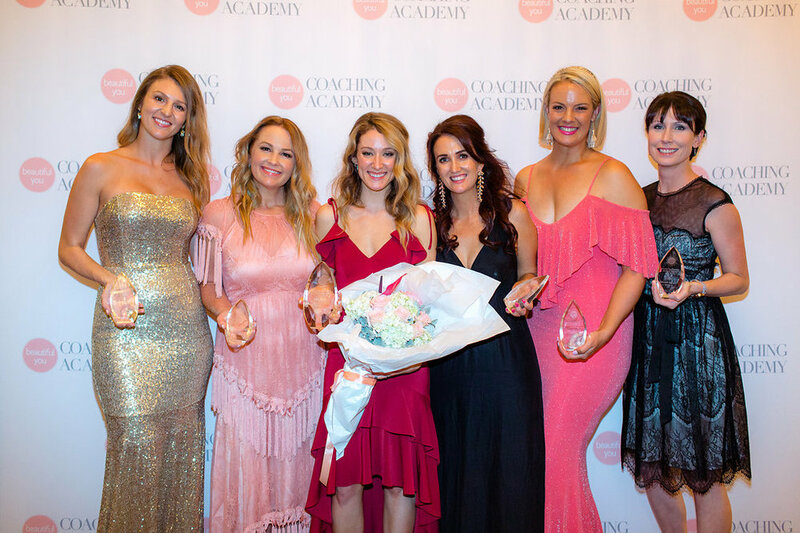 I have a degree in interpersonal communication with a minor in psychology which no doubt helps me as a coach, however I felt being certified as a Beautiful You coach was the single most important factor in my success both with clients and in business. I have continued my education through my own love of learning but have taken, and recommend no other life coaching schools. What's the one thing I'd recommend to insure you'd have success?? Well, this is a toughie because being a coach is so multi-faceted. I would say, be an avid learner and show up. Do the work and invest in yourself. Keep learning and growing and taking action be it in your personal healing, learning about marketing, or simply showing up on instagram. Never hired a coach, been to therapy, or done any inner or spiritual work?? Then sister, begin there. As I mentioned before, you don't need to be perfect by any means to show up and serve others. But if I'm totally honest, you DO need to have inner resolve, self-worth, and self-trust to get a business off the ground and support people to their highest selves. Plus, you'll want to know what coaching is like from a coach-ee perspective! 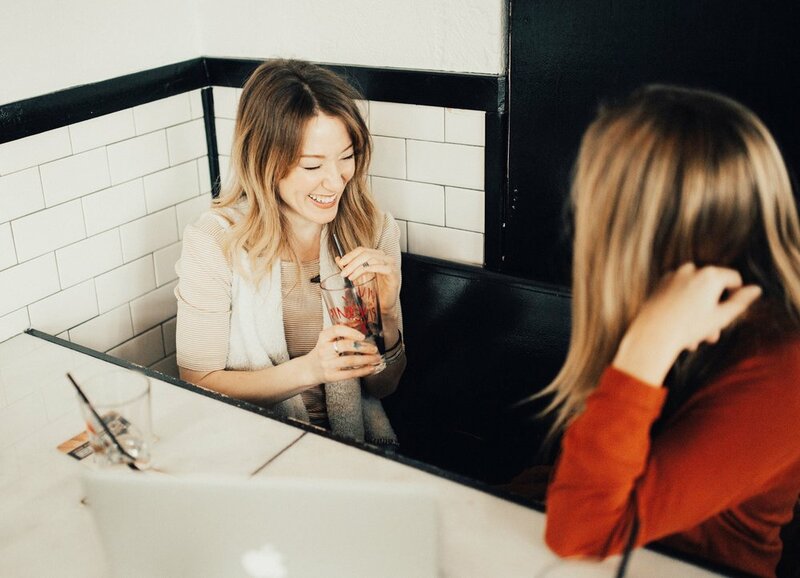 If you're curious about being a coach but want to discover the power of coaching yourself, I'm always taking applications for one on one clients. Let's chat! Read more about my experience with BYCA in blog posts HERE. Read more about my favorite books for business and coaching HERE. My BIG international coach of the year win! Enroll at Beautiful You through my affiliate link below and receive an all-access pass to my signature program, Awaken Her Soul! In my 14 week program you gain access to all my proven coaching strategies that have served as the guide for over 100 women to reprogram their brains, claim their worth, and reach their highest potential. Bite-sized sermons and a full workbook delivered weekly guiding you to become the hero of your own story, radiate your truth unapologetically, and make your vision a reality. A toolbox overflowing with videos, resources, and encouragement to lift you higher and keep you in the game. A streamlined, secure platform and weekly emails to make your experience organized, efficient, and clarifying. Lifetime access to a private, members-only Facebook Sanctuary where you can share your questions freely and without judgment, plus be coached by me! Stress- free audio meditations that offer immediate relief along with guided timelines and Playbooks to help you implement what you learn into your everyday life with ease. Others pay: $1773! You'll get all of it 100% for FREE as my welcome gift to you for joining the BYCA family. Beautiful You will send you a series of emails securing your seat and getting you set up for the academy. From that date you'll have lifetime access to the Awaken Her Soul program like any paying member! All affiliate offers must be claimed within 90 days of your graduating the BYCA program of become void. The BYCA Inspiration day in san fran | photos by fims photography.